After last summer's smash extravaganza, we return with the next installment: Saravá! 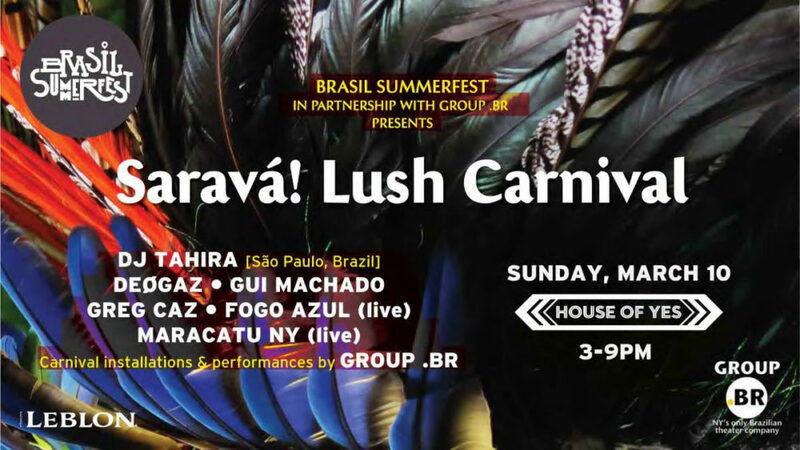 Lush Carnival, a special event at the House of Yes presented by Brasil Summerfest, the premier Brazilian contemporary music & arts festival in partenrship with Group .BR, New York’s only Brazilian theater company. This will be New York's ultimate 2019 carnival experience and in true Brazilian fashion: the party begins in the day and heads into the night. The event features special DJs, live samba and maracatu, carnival installations and performances, blocos and frozen caipirinhas by our friends at Leblon Cachaça. Find your carnival self! Carnival wear and costumes highly encouraged. DJ Tahira (São Paulo, Brazil) São Paulo based DJ is known for his eclectic mixes, edits and superb production work. Praised by DJs like François K and Gilles Peterson, Tahira has toured the world over and is a master at blending different genres and eras from Brazil: traditional rhythms like maracatu, coco, carimbó with electronic beats for the dancefloor. Deøgaz DJ and production duo Gaspar Muniz and Deo Jorge have been tearing up dance floors in clubs like Output and Le Bain and have garnered fame with their Onda party during Rio de Janeiro carnival. Ready to release an EP of Brazilian edits, Deøgaz mixes deep cuts of Afro Brazilian dance grooves. Greg Caz Known for his Brazilian Beat parties in the heydays of Black Betty, Greg Caz is a Brazilian music connoisseur and one of the main Brazilian party rockers in the city. 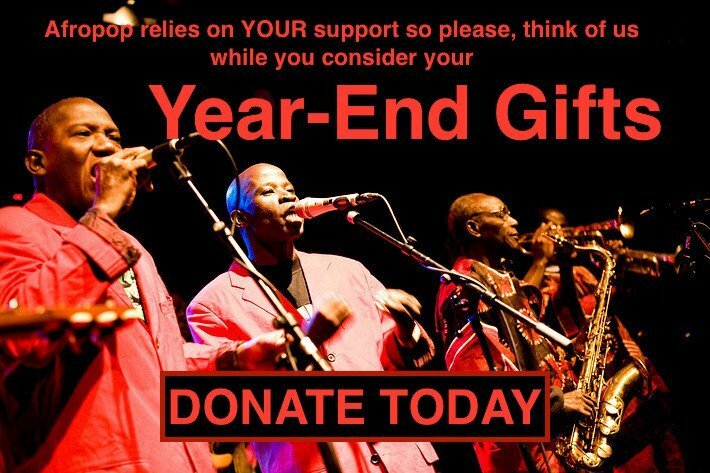 Expect carnival classics (marchinhas), forró, samba and a tons of surprises. Gui Machado Rio de Janeiro native is a visual artist and DJ. Mostly operating in the underground world, his exceptional DJ sets journey everything from tropicalia to samba. Live music performances by Maracatu New York Northeastern percussion and Fogo Azul, all female samba group.